Shields | Mott LLP has grown from four attorneys in 1995 to a firm that bears an elite name in Construction Law, with a record of successful litigation outcomes. Our varied other practices enable us to represent clients in crossover areas including insurance, contractor licensing issues, labor relations and employment law, products, real estate, bankruptcy and communications systems. Recent demands for Intellectual Property conflicts have created an area of substantial growth for our firm. We are conveniently located in the New Orleans CBD but our corporate and individual work is regional. The firm has attained the highest AV Martindale Hubbell® rating. Many of our attorneys are named in Chambers, Super Lawyers, Best Lawyers in America and other superlative listings. Our attorneys also have degrees in other areas related to the practices, such as Architecture, Business, Biomedical and Electrical Engineering, Economics and Civil Engineering. Shields | Mott prides itself on vigorously and aggressively representing clients in the courtroom, at the negotiating table, and in the halls of government. Please contact us so we can demonstrate why our clients made us their firm of choice. Shields | Mott represents contractors, surety companies, owners and design professionals in all manner of construction industry disputes. Shields | Mott has a burgeoning intellectual property practice including litigation and prosecution. Shields | Mott provides zoning related services for both owners/developers and neighborhood interests opposing development. Shields | Mott offers comprehensive services to employers relating to labor relations and employment law. As a corollary to its litigation practice, Shields | Mott attorneys are regularly engaged in various types of alternative dispute resolution proceedings. ABC New Orleans/Bayou Chapter Crawfish Boil - Sponsored by Shields Mott L.L.P. 4apr4:30 pm- 7:30 pmABC New Orleans/Bayou Chapter Crawfish Boil - Sponsored by Shields Mott L.L.P. Join us for the Shields Mott-sponsored ABC New Orleans/Bayou Chapter Crawfish Boil being held this year at ABC New Orleans/Bayou Chapter Campus! ABC members and non-members can register here! Join us for the Shields Mott-sponsored ABC New Orleans/Bayou Chapter Crawfish Boil being held this year at ABC New Orleans/Bayou Chapter Campus! ABC members and non-members can register here! Andrew Vicknair, partner, and Adrian D’Arcy, partner, will present a live webinar on understanding AIA document A312 bond forms. Many actors on a construction project, architects, owner representatives and their attorneys often do not understand how to properly terminate a contractor from a project and then allow the surety to perform the required investigation so as to properly maintain their rights against the surety under the A312 Performance Bond. Likewise, contractors and sureties (and their attorneys) sometimes do not recognize defenses to claims made against the A312 Performance Bond and, in some cases, may actually waive available defenses to claims against the Bond. This topic helps the persons on any side of a construction dispute (owner, architect, surety, and contractor) understand the process required to make and maintain a proper claim against the A312 Performance Bond. The topic also explains the possible defenses that might be asserted against a claim under the A312 Bond and actions parties to a contract should take to ensure that they don’t waive any rights they have under the A312 Performance Bond. This information is critical for construction industry professionals facing tough decisions when projects are going south. Andrew Vicknair’s primary practice areas include all phases of intellectual property including litigation, prosecution, and transactional matters. Andrew handles all aspects of patent, trademark, and copyright litigation; and prosecution of U.S. patent applications, trademark applications, and registration of copyrights with the United States Copyright Office. Andrew also practices in commercial litigation and construction litigation, including claims related to construction defects, payment, subcontractors, owners, and general contractors. Adrian D’Arcy’s primary practice areas include commercial litigation, construction litigation and surety litigation. 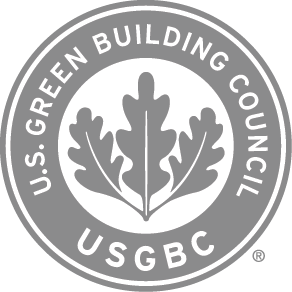 He is a LEED Green Associate and has presented numerous lectures on green building. Additionally, Adrian crafts and reviews construction contracts so that clients are protected on the front end of projects. Register for the live webinar here. Material Suppliers – – Maybe the 75-day notice is not required?